← Simply Beautiful 1 – delicacy in the border. Sometimes something happens that will remain with you for ever, a fleeting moment when Mother Nature shouts out, “Hey! Look at me! Check this out!”. She puts on a great show which disappears as quickly and silently as it appeared a short few moments previously. 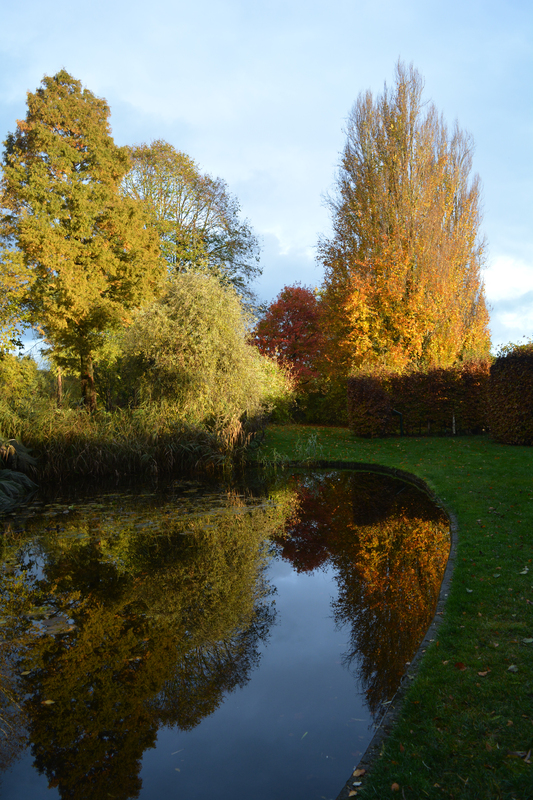 While following one of our slow monthly ramblings around the Dorothy Clive Garden looking at what the garden had to offer especially for this month, we were, to say the least, waylaid by the weather. 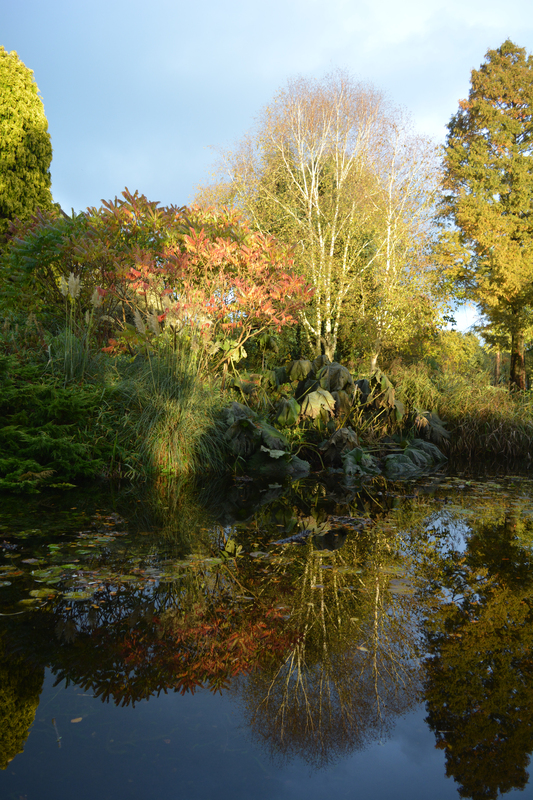 As we walked slowly down the sloping path to the lower garden and the pool, we photographed the birches, trunks pale against the deep evergreen conifers behind them. 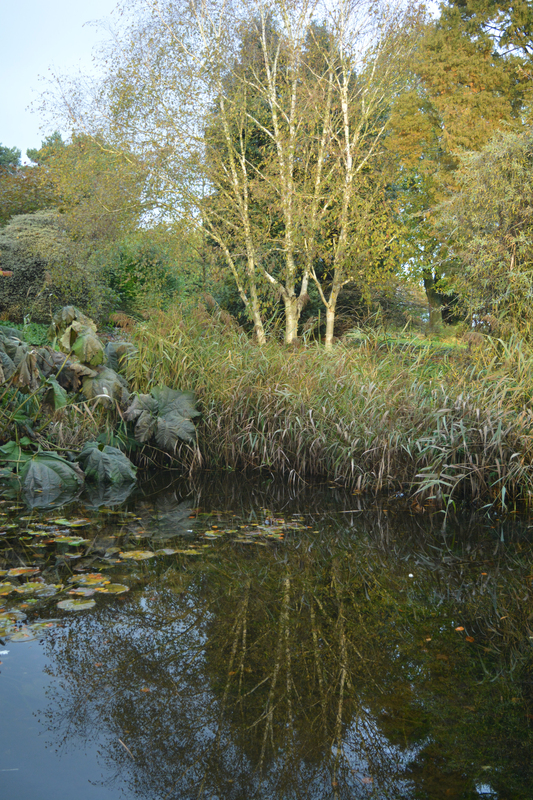 We looked over the hedge, the garden boundary, out and across to the countryside beyond. We saw that the light was changing rapidly and dramatically lighting up the countryside. A darkness crept over the approaching clouds which became the darkest blue-grey possible. Combined with the bright shafts of low November sunlight we were suddenly surrounded by the strangest weather we could ever remember. 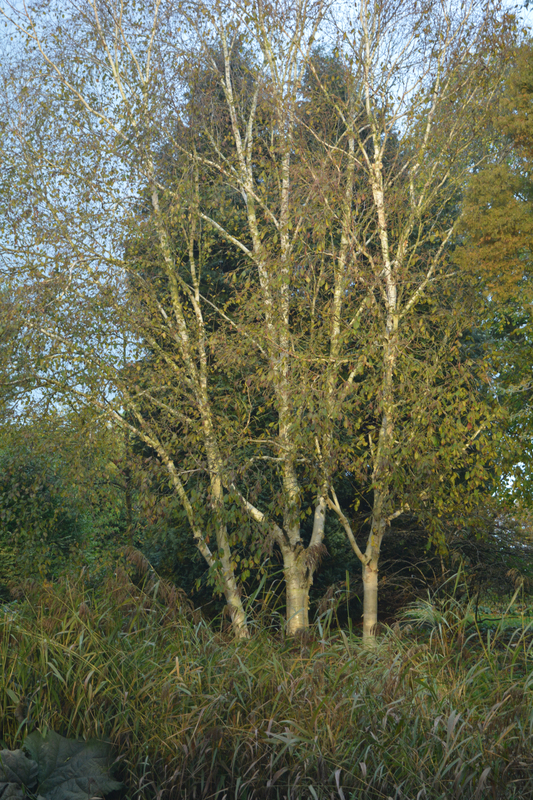 The birches against their dark backgrounds lit up further. In a matter of seconds it was all magic surrounding us. The first two pics are the first pair prior to the light change, and the following three illustrate the changes those few moments in time produced. Just look at the subtle changes in these three photos below taken just seconds apart. 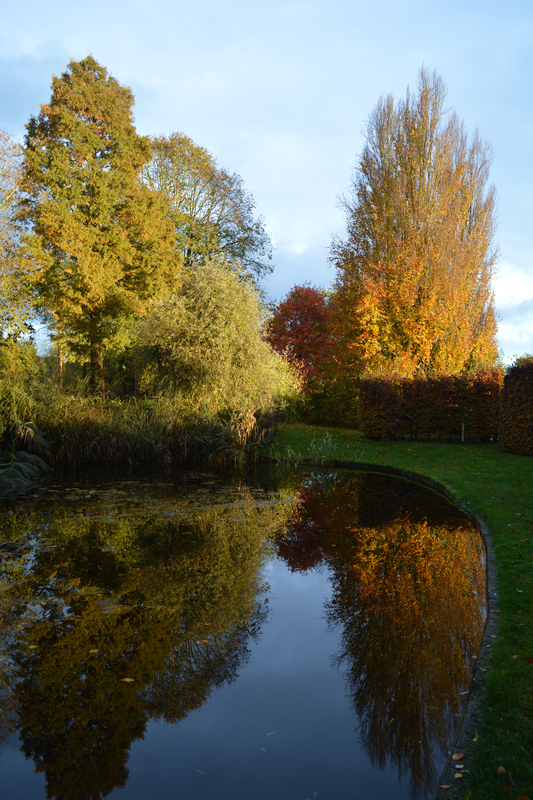 Look at the light on each tree and the reflection! We will now share the changing scenes of a fleeting moment in time with you via a gallery of photos shown in the order I took them. Enjoy. 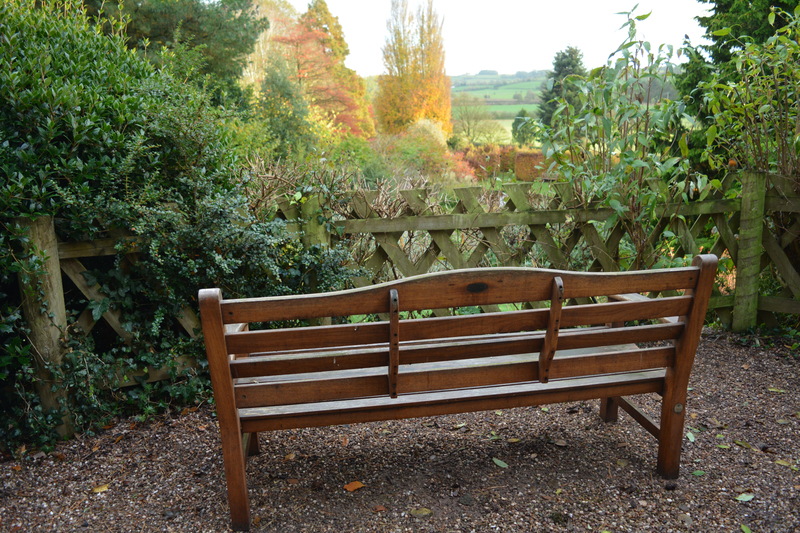 Things began to calm down as a dark cloud took over the sky once again and we enjoyed a final view from this lovely garden bench. 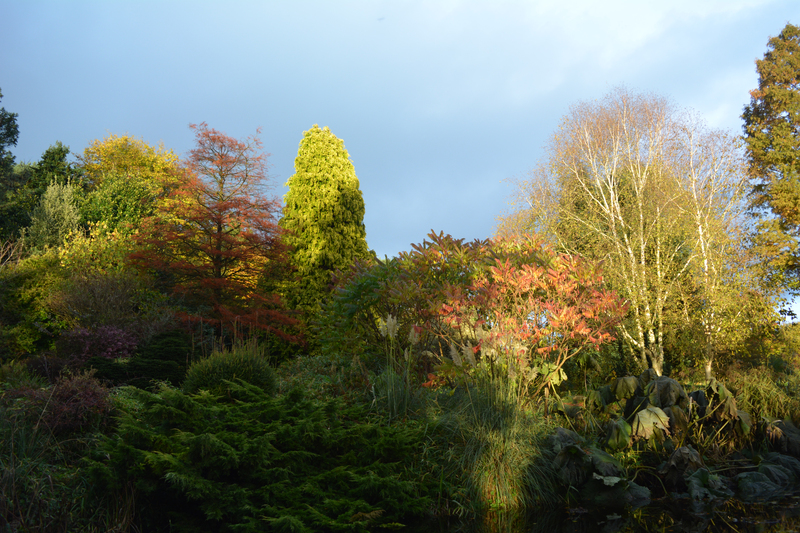 It is strange to think that this this beautiful short passage of time which changed our view of trees and the garden in general will never be seen again. An unforgettable experience and an unrepeatable performance! What a special moment, a moment we will never forget. In the short time this special lighting was putting on its special personalised show for us we were so excited and couldn’t stop pointing out special moments to share. 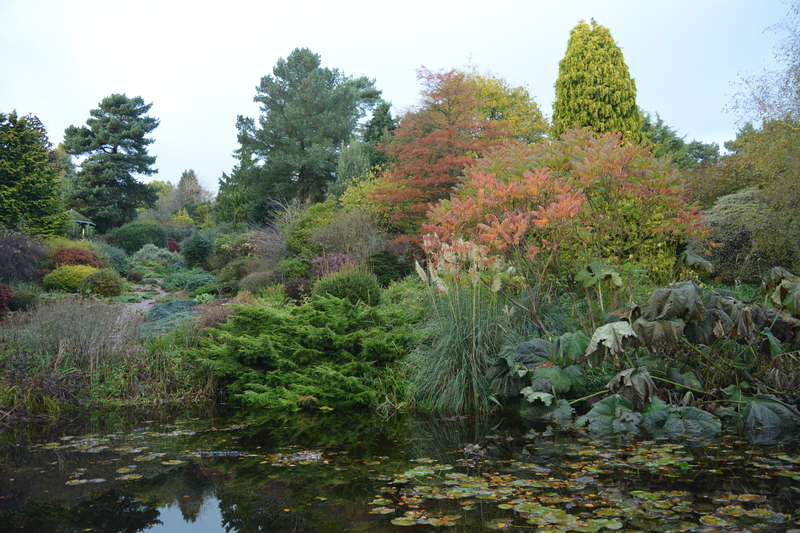 In my next post I will share the rest of our November visit to the Dorothy Clive Garden. 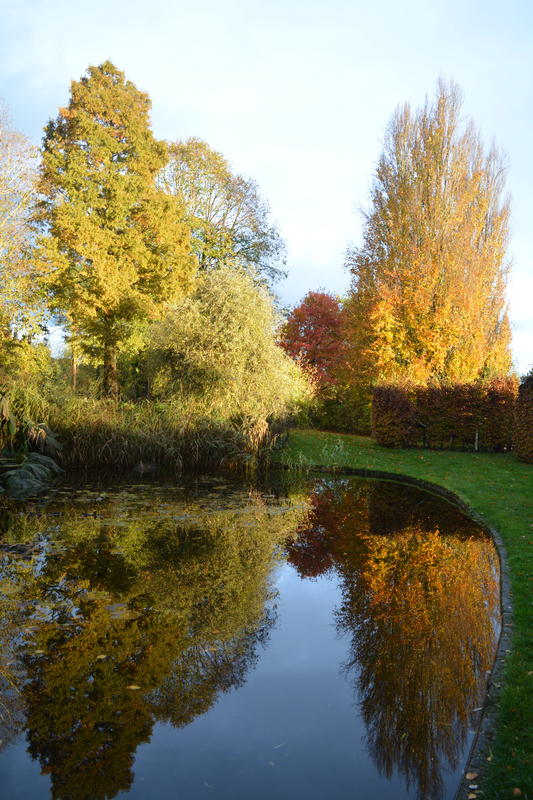 This entry was posted in autumn, autumn colours, colours, garden photography, garden ponds, garden pools, gardening, gardens, gardens open to the public, landscapes, light, light quality, ornamental trees and shrubs, reflections, Shropshire, Staffordshire, trees, water in the garden and tagged autumn, autumn colours, autumn gardens, Dorothy Clive Garden, Dorothy Clive Gardens, light, light quality, North Shropshire, Shropshire gardens, Staffordshire, Staffordshire Gardens, trees and shrubs, weather. Bookmark the permalink.